Baby it’s cold outside and who doesn’t love a cozy, warm fire?! I do! My kids do! Even my kitties do!! But you know the not so fun part of a fire? Getting it started and keeping it going! One way to make this easier is with fire logs. 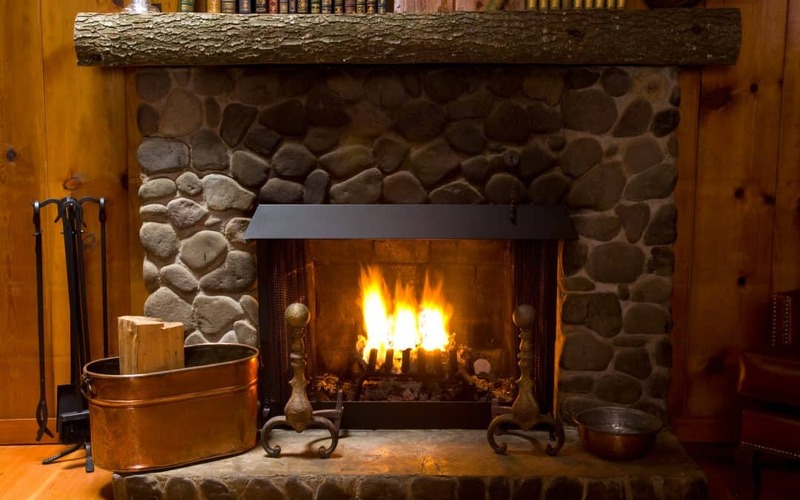 They make it easy to get a blazing fire up and running fast and easy to keep it going while you relax and enjoy your book or hot cocoa or glass of wine! I decided to grab one to use over the holidays while having guests over. I figured it would keep us from having to constantly tend the fire and allow us to enjoy instead. Something about them didn’t sit well with me though. For some reason, maybe ’cause they are manufactured and not natural, I was under the impression that they were really bad for the environment and my family – in other words full of toxins. This led me to – you guessed it – research! What Are Fire Logs Made Of? Since my assumption was that they were made of scary things like plastics and nasty chemicals, I was surprised to learn that fire logs are made from compressed sawdust, vegetable and plant wax, and other recycled ingredients, such as ground nutshells or coffee grounds. The sawdust and other recycled ingredients work together with the wax kind of like a candle. The sawdust particles act like a wick, and the wax acts as the fuel. Fire logs basically fuel themselves which means you don’t have to! You just sit back, relax and enjoy! There is no burning plastic in fire logs but are there other harmful things in the fumes given off? The study only tested the quantity of each of the above in a variety of different fire log brands (and wood) but didn’t dive into the harmfulness of any of them. Other sites state that frequently burning fire logs (and even wood) can pose some health concerns. The carbon monoxide emitted can cause symptoms including headaches, dizziness or nasuea. The other pollutants emmitted while burning can cause upper respiratory irritation or the worsening of symptoms from pre-existing upper respiratory issues like asthma. It’s also important to mention that some fire logs aren’t made for cooking food. 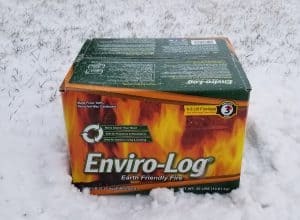 However, Enviro-Log Firelogs ARE safe to cook over which make these environmentally-friendly firelogs great for camping or other outdoor cooking. So are firelogs harmful to burn? My take away – fire logs are not harmful to burn, they release fewer toxins than firewood and fire log brands vary in how eco-friendly they are. How Do Fire Logs Compare To Burning Wood? From the fumes/emissions perspective, the study above found that the levels of each of the items tested for were highest for wood and that all of the fire logs tested were lower. This was a total surprise to me! I don’t know why but I just assumed that wood – maybe ’cause it’s natural – would emit far fewer pollutants. I guess you learn something new everyday! Lastly, in turns out that many fire logs are also manufactured with sustainability in mind. The Duraflame website states that is uses recycled wood and fibers and other renewable materials. And the Enviro Log website states that is uses 100% recycled wax cardboard to make it’s fire logs. There are quite a few fire log brands on the market so I wanted to give you a few to choose from so that when you’re staring at them all in the store (or shopping online!) you’ll know what to buy! I don’t know about you but I’m feeling really good about using fire logs now! I feel confident that they are not spewing out toxic fumes that are going to harm my family or the planet. I also feel good knowing that, in many cases, fire logs are manufactured in an environmentally friendly way! Let me know if you decide to give fire logs a try! Here’s to a cozy, safe fire tonight! P.S. 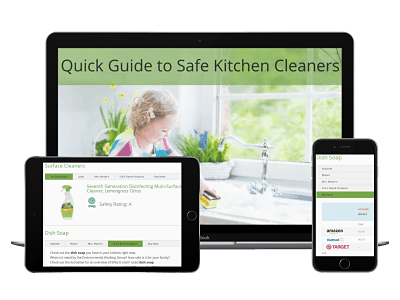 – For more tips on reducing toxins in your home be sure to click on Toxin-Free Living in the side bar!